Rosewood Buttons: Joyeux Premier Anniversaire! 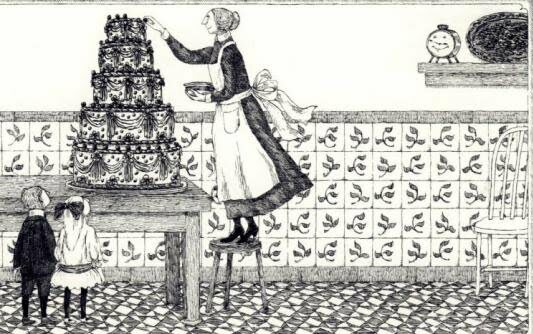 Edward Gorey wishes Rosewood Buttons a happy first birthday. In the hustle and bustle of this and that, I completely missed Rosewood Button's first birthday on May 28th. Gah! What kind of blogger am I, forgetting my own blog birthday, or blirthday? (Yes, I did just make up a word. It's that kind of day.) I even had it circled on my calendar so I wouldn't forget! Without further ado, happy birthday to you, Rosewood Buttons. It's been an interesting experiment thus far, full of identity crises (blogdentity? ), flurries of projects, and long bouts of not being able to update.